"I believe it is the responsibility of every generation to reach their generation for Christ"
Jack had an insatiable hunger for God's Word and a passion to share his faith everywhere he went - on street corners, in jails and anywhere a crowd could be found. For nine years, he earned a living selling insurance but his heart burned to preach, and preach he did with every opportunity God gave him. 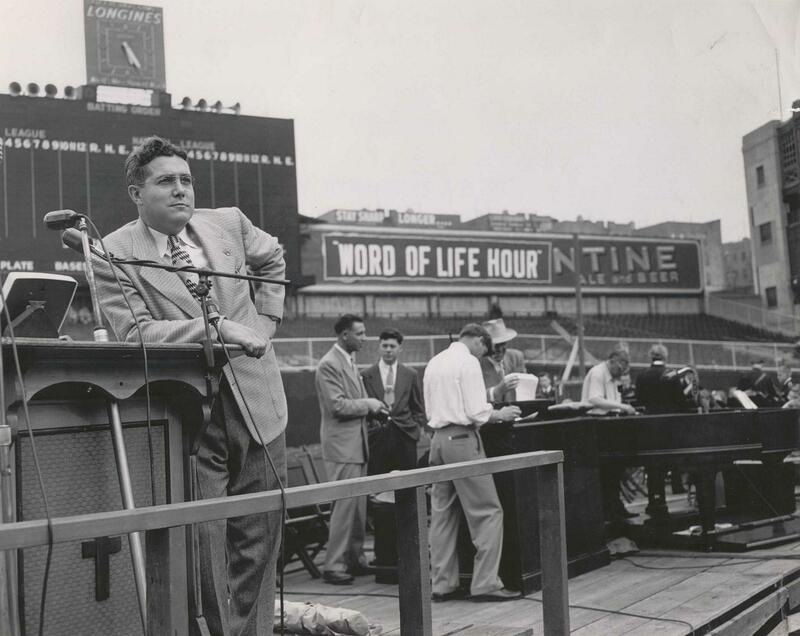 His enthusiastic spirit to present the Gospel attracted attention and in 1940 he was given air time on a New York City radio station. It was at this time that God burdened Jack to quit his job, step out in faith and begin the work of Word of Life. He travelled throughout America holding evangelistic meetings in major cities as well as in rural churches. Jack believed that as an evangelist, he "must have a life above reproach, be yielded to Christ, have compassion for the lost and a gift of persuasive preaching." Truly, these characteristics were evidenced in the life of Jack Wyrtzen.